The ACT’s Noted Festival, Canberra, ACT is not running in 2018, but hopes to be back in 2019 and intends to run one-off events in 2018. The Wheeler Centre in Melbourne has a busy program of author talks and panels year round. Melbourne, as a City of Literature, has a calendar of events including workshops, launches and presentations. Lighthouse Literary Lunch series, Aireys Inlet, VIC. General lit. In WA, the Write Along the Highway festival occurs in various locations, with a focus on preparing and supporting writers for the National Novel Writing Month (every year in November). Australian Romance Readers has a finger on the pulse of romance-related book events. Jan 23-27: ABPA Golden Damper Awards Bush Poetry Performance Competition, Tamworth NSW. Bush poetry. SCBWI Books From Your Backyard, TBC. Children’s. Feb 3-4: RTX Australia, Sydney, NSW. Computer gaming. Feb 8-9: Association for the Study of Australian Literature Conference, Darwin, NT. Oz lit, academic. Feb 9-11: Australian Comic Arts Festival, Canberra, ACT. Comics, graphic novels, industry. Feb 11: Festival of the Photocopier and Zine Fair, Melbourne, VIC. Zines. Feb 16-25: Banjo Paterson Australian Poetry Festival, Orange, NSW. Bush poetry. Feb 27: Woollahra Poets’ Picnic, Sydney, NSW. Poetry, spoken word. JLF Melbourne, Melbourne, VIC. Branch of Jaipur Lit. Fest. Gen. lit. Blak & Bright: The Victorian Indigenous Literary Festival, Melbourne, VIC. Aboriginal and Torres Strait Islander focus. Mar 1-4: Dunedoo Bush Poetry Festival, Dunedoo NSW. Bush poetry. Mar 3-8: Adelaide Writers Week, Adelaide, SA. Gen. lit. Part of Adelaide Festival. Mar 5-9: Writing and writers of Gippsland, Paynesville, VIC. Gippsland lit, academic. Mar 10: Mornington Peninsula Writers Festival, Mornington, VIC. Gen. lit. Mar 14-16: Somerset Celebration of Literature, Gold Coast, QLD. Children’s, YA, gen lit. Mar 16-18: Melbourne Art Book Fair, Melbourne, VIC. Art/illustrated books. Mar 16-19: John O’Brien Festival, Narrandera, NSW. Bush poetry. Mar 18: Snowy Mountains Readers Writers Children’s Festival, Cooma, NSW. Gen lit. Mar 19-23: Red Dirt Writers Week, online; possible on-site events. Gen lit. Mar 21-24: Emergence creative festival, Margaret River, WA. Multi-media, cross-disciplinary. Mar 21-24: National Play Festival, Sydney, NSW. Theatre. Mar 24: Goulburn Reader Writer Festival, Goulburn, NSW. Gen. lit. Mar 25: Ipswich Poetry Feast, Ipswich, QLD. Poetry. Mar 27 — Apr 3: Aboriginal Australian Kids Story Festival (Woylie Festival), Fremantle, WA. Indigenous, youth focus. Mar 29 — Apr 2 (Easter): Swancon, Perth, WA. Spec fic. Mar 30 — Apr 2 (Easter): Conclave 3, Auckland, NZ. National SF convention. Savannah: Townsville’s Festival of Stories, Townsville, QLD. Gen. lit. Apr 6-8: Newcastle Writers Festival, Newcastle, NSW. General lit. Apr 7: CapriCon, Rockhampton, QLD. Steampunk, pop culture. Apr 8: Australian Storytellers Festival, Fremantle, WA. Kids, YA focus. Apr 12-15: Jane Austen Festival Australia, Canberra, ACT. All things Jane. Apr 20-22: Supanova, Melbourne, VIC. Pop culture. Apr 20-22: Flash Fiction Fun Weekend, Canberra, ACT. Industry. Apr 21: Writers Group Convention, Brisbane, QLD. Writing. Apr 21 — May 6: Shakespeare on the River, Stratford, VIC. Things Shakespeare. Apr 26 — May 6: Unearthed Pemberton, Pemberton, WA. Gen. lit. stream. Apr 27-29: Supanova, Gold Coast, QLD. Pop culture. Apr 27-30: Varuna and Sydney Writers Festival Blue Mountains Program, Katoomba, NSW. Gen. lit. Apr 28: Speculate: the Victorian speculative writers festival, Melbourne, VIC. Spec.fic. Apr 30 — May 6: Sydney Writers Festival, Sydney, NSW. Gen. lit. Lighthouse Literary Fest, Aireys Inlet, VIC. General lit. May 3-9: Melbourne Jewish Book Week, St Kilda, VIC. Jewish literature. May 4-27: Queenscliffe Literary Festival, Queenscliff, Point Londsdale, VIC. 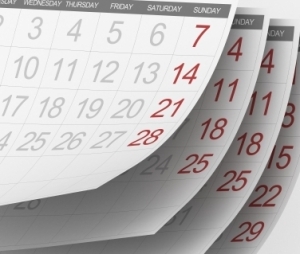 Various events during the month. Gen. lit. May 5: Gritty Lit — True Crime Writers Festival, Casula, NSW. True crime. May 5-6: Boonah Writers Festival, Boonah, QLD. Gen. lit. May 5-6: Clunes Booktown Festival, Clunes, VIC. Gen. lit. May 9-13: Scribblers, Claremont, WA. YA, children’s. May 10-11: Australian Library and Information Association Information Online 2017 Conference, Canberra, ACT. Industry. May 12: Love YA, Brisbane, QLD. YA. May 17-20: Penola Coonawarra Arts Festival, Penola and Coonawarra, SA. Gen. lit. stream. May 19: KidLitVic, Melbourne, VIC. Kids and YA, industry. May 23: National Simultaneous Storytime, national. Childrens reading initiative. May 24-27: NT Writers Festival, Darwin, NT. Gen lit. May 25-27: Latrobe City Literary Festival, Traralgon, Moe, VIC. Series of events. Gen. lit. May 25-27: Big Sky Readers and Writers Festival, Geraldton, WA. General lit. Moorabool Festival of Stories, Bacchus Marsh, Vic. Gen. lit. Melbourne Jewish Writers Festival, Melbourne, VIC. General lit. Jun 1-3: Margaret River Readers & Writers Festival, WA. Gen. lit. Jun 1-4: Denmark Festival of Voice, Denmark, WA. Includes poetry, spoken word, readings, talks. June 7-11: Henry Lawson Festival, Grenfell, NSW. All things Lawson. Jun 8-11: Conjugation (Continuum 14), Melbourne, VIC. Spec fic, pop culture. Jun 8-10: Bellingen Writers Festival, Bellingen, NSW. Australian general lit. Jun 8-11: Woodend Winter Arts Festival, Woodend, VIC. General lit. Jun 9-10: Oz Comic-Con, Melbourne, VIC. Pop culture. Jun 10: Australian Fairy Tale Society Annual Conference, Sydney, NSW. Fairy tales. Jun 15-17: Supanova, Sydney, NSW. Pop culture. Jun 16-17: Williamstown Literary Festival, Williamstown, VIC. General lit. Jun 17-18: Australian Booksellers Association Conference and Trade Exhibition,Canberra, ACT. Industry. Jun 18 – Jul 26: WordFest, Melbourne, VIC. Author talk series. Gen. lit. Jun 21 – Jul 8: Glen Eira Storytelling Festival — Off the Page, Glen Eira, VIC. Series of events. Gen. lit. Jun 22-24: Supanova, Perth, WA. Pop culture. Jun 29-30: Perth Comic Arts Festival, Perth, WA. Comics. Jun 26-28: Outback Writers Festival, Winton, QLD. Gen. lit. Jun 29 — Jul 8: Rare Book Week, Melbourne, VIC. Gen lit. Inc. Rare Book Fair Jul 6-8. Jun 30: Kids and YA Festival, Sydney, NSW. Children’s, YA. Writers, Readers and Poets Weekend, Beechworth, VIC. Gen. lit. Jul 3-7: Literary Studies Convention, Canberra, ACT. Academic. Jul 7: Children’s and Young Adult Writers and Illustrators (CYA) Conference, Brisbane. Children’s and YA. Jul 7-8: Telling Tales in Balingup, Balingup, WA. School kids 4-14. Jul 10-11: WA Writing and Publishing Sector Forum, Perth, WA. Industry. Jul 13-15: Maleny Celebration of Books, Maleny, QLD. Gen. lit. Jul 18-20: Whitsunday Voices Youth Literature Festival, Mackay, QLD. Children, YA, schools. Jul 19: Stella Prize: Girls Write Up Perth 2018, Perth, WA. Gen lit, schools focus. Jul 19-22: Mildura Writers Festival, Mildura, VIC. General lit. Jul 20-29: Noosa Long Weekend, Noosa, QLD. Gen lit stream. Jul 21: Southern Highlands Writers’ Festival, Bowral, NSW. General lit. Jul 21-22: Midwinter Words, Portarlington, VIC. Gen. lit. Jul 22: Young Writers Conference, Brisbane, QLD. Industry, for writers aged 15-25. Jul 27-28: Storyology, Brisbane, QLD. Journalism. Jul 27-29: Words in the Valley Readers and Writers Festival, Bridgetown, WA. Gen. lit., poetry. Jul 29: Warm Winter Words, Apollo Bay, VIC. Gen. lit. Jul 30 — Aug 2: ALIA/LIANZA joint 2018 Conference, Gold Coast. Library and information industry. Association for the Study of Australian Literature Annual Conference, Melbourne, VIC. Academic. USQ Bookcase, Toowoomba, QLD. Uni-based, gen. lit. Aug 3-5: Byron Bay Writers Festival, Byron Bay, NSW. Gen. lit. Aug 4: Shoalhaven Readers’ and Writers’ Festival, Nowra, NSW. Gen. lit. Aug 4-26: Words in Winter, Daylesford and surrounding towns, VIC. Series of general lit events. Aug 10-12: Bendigo Writers Festival, Bendigo, VIC. General lit. Aug 9-12: Mudgee Readers’ Festival, Mudgee, NSW. General lit. Aug 10-12: Corrugated Lines, Broome, WA. Gen. lit. Aug 11: New Norcia Writers Festival, New Norcia, WA. Gen. lit. Aug 11: National Bookshop Day. Events around the country to encourage book buying. Aug 17-19: Romance Writers of Australia conference, Sydney, NSW. Romance. Aug 18: Writers Unleashed (Sutherland Shire Writers Festival), Gymea, NSW. Gen. lit. Aug 18-24: Book Week, national school-based events hosted by Children’s Book Council of Australia. Aug 22-23: Mandurah Readers and Writers Festival, Mandurah, WA. Gen. lit, schools component. Aug 23-25: Australasian Medical Writers Association Annual Conference, Melbourne, VIC. Medical. Aug 23-26: Queensland Poetry Festival, Brisbane, QLD. Poetry. Aug 23-26: Canberra Writers Festival, Canberra, ACT. General lit. Aug 23-26: 3rd National First Nations Australia Writers Workshop, Canberra, ACT. First Nations, craft, industry. Aug 24-26: Salisbury Writers’ Festival, Salisbury, SA. General lit. Aug 24-26: Sandcliffe Writers Festival, Brighton, Shorncliffe, Bracken Ridge, QLD. Gen. lit. Aug 24 — Sep 2: Melbourne Writers Festival, Melbourne, VIC. General lit. Aug 25: Red Dirt Poetry Festival, Alice Springs, NT. Poetry, spoken word. Aug 28-30: Ashgrove LitFestival, Ashgrove, QLD. Gen. lit, school-hosted. Jul 30: Storyology, Sydney, NSW; Melbourne, VIC. Journalism. Aug 31 — Sep 1: Rose Scott Women Writers’ Festival, Sydney, NSW. Gen. lit, by women. Aug 31 — Sep 2: Armadale Writers Festival, Armadale, WA. General lit. Sunshine Coast International Readers and Writers Festival, Coolum Beach, QLD. Gen lit. Zine & Indie Comic Symposium, Brisbane, QLD. Comics, zines, graphic story telling. Sydney Jewish Writers’ Festival, Sydney, NSW. General lit. Sep 1-2: BAD: Sydney Crime Writers Festival, Sydney, NSW. Crime. Sep 5: Indigenous Literacy Day, nationwide. Aboriginal and Torres Strait Islander focus. Sep 5-8: Heroines Festival, Thirroul and district, NSW. Spec fic, historical. Sep 5-9: Write Around the Murray, Albury, NSW. Gen. lit. Sep 7-9: Brisbane Writers Festival, Brisbane, QLD. General lit. Sep 7-9: Kimberley Writers Festival, Kununurra, WA. General lit. Sep 7-17: Unspoken Words, Sydney, NSW. Poetry, spoken word. Sep 13: Odyssey Literary Festival, Melbourne, VIC. Genre, industry. Sep 13-17: Poetry on the Move, Canberra, ACT. Poetry. Sep 13-30: Melbourne Fringe, Melbourne, VIC. Lit performance element. Sep 14-16: WestWordsFest, Dubbo, NSW. Spec. fic. Sep 14-16: Tamar Valley Writers Festival, Beaconsfield region, TAS. Gen. lit. Sep 15-16: Wands to Wormholes, Tamworth, NSW. Spec. fic. Sep 20: Australian Reading Hour, national. Pick up a book, share the love! Sep 22: Rockingham Writers Convention, Rockingham, WA. Industry. Sep 22-23: Oz Comic-Con, Brisbane, QLD. Pop culture. Sep 27-30: National Young Writers Festival. Newcastle, NSW. Focus on writers 18-35. Sep 29-30: Oz Comic-Con, Sydney, NSW. Pop culture. Sep 29 — Oct 1: Conflux, Canberra, ACT. Spec fic. Festival of a Thousand Stories, Bourke, NSW. Gen. lit. St Albans Writers Festival, St Albans, NSW. Gen. lit. Ex Libris Port Fairy Festival of Words, Port Fairy, VIC. General lit. Level UP — SCBWI ACT Inaugural Annual Conference, Canberra, ACT. Children’s, industry. CrimeScene, Perth, WA. Crime fiction and non-fiction. Tonerpalooza, Melbourne, VIC. Zine fair. Oct 5-8: Tasmanian Poetry Festival, Launceston, TAS. Poetry. Oct 5-14: Crush Festival, Bundaberg, QLD. Includes lit. events. Oct 10: Unleash the Beast: Writing and Wellness Symposium, Toowoomba, QLD. Mental health focus. Oct 12-14: Burdekin Readers and Writers Festival, Ayr, QLD. Gen. lit. Oct 14: Coal Creek Literary Festival, Korumburra, VIC. Gen. lit. Oct 19-21: Australian Short Story Festival, Perth, WA. Short stories. Oct 26-27: Celebrate Reading National Conference, Fremantle, WA. YA, high school focus. Oct 30 – Nov 3: Digital Writers Festival, Melbourne, VIC. Gen. lit. Storylines Literary Festival, Perth, WA. YA. Boundless: a festival of diverse writers, Bankstown, NSW. Indigenous, multicultural focus. Sports Writers Festival, Melbourne, VIC. Sports writing. Nov 1-3: Feminist Writers Festival, Sydney, NSW. Gen. lit. Nov 2-4: Supanova, Adelaide, SA. Pop culture. Nov 3: West Coast Fiction Festival, Perth, WA. Gen. lit. ; signing event. Nov 5-25: Design Canberra – National Design Writing Conference, Canberra, ACT. Design + writing. Nov 8-17: Brimbank Writers and Readers Festival, various locations within Brimbank city, VIC. Gen. lit. Nov 9-11:Supanova, Brisbane, QLD. Pop culture. Nov 9-11: Scone Literary Festival, Scone, NSW. Gen. lit. Nov 15-18: untitled Literary Festival, Stonnington, VIC. Gen. lit. Nov 16-18: Word for Word: National Non-Fiction Festival, Geelong, VIC. Creative non-fiction, non-fic. Nov 22-24: Independent Publishing Conference, Melbourne, VIC. Indie publishing, inc. academic and student streams. Nov 23-25: Wollongong Writers Festival, Wollongong, NSW. Gen. lit. National Novel Writing Month, NaNoWriMo, international (local events, online). Writing. Sports Writers Festival, Sydney, NSW. Sports writing. Sydney Freecon, Sydney, NSW. Speculative fiction. Clare Writers’ Festival, SA. Gen lit, strong on genre. CommsDirect, Melbourne VIC. Industry, media. Australian Society of Authors National Writers’ Congress, Sydney, NSW. Gen lit.